Do you have estate and probate litigation questions, such as whether or not a will is valid, that require the knowledge and skill of an experienced trial lawyer? Are you questioning whether a relative, guardian, executor, personal representative or trustee has breached their duty, mismanaged assets, or stolen assets? Do you need help starting or completing a probate claim in Wisconsin? Look no further for skilled legal assistance. Our estate and probate litigation attorneys in Milwaukee, Wisconsin routinely represent blood relatives, heirs, beneficiaries, creditors, personal representatives and trustees in all types of estate, probate and trust matters. Often times, estate and probate disputes involve other issues such as real estate, tax, business, and insurance law. Our Milwaukee Estate and Probate lawsuit attorneys have extensive experience in all of these areas that make us one of the leading choices to help assist you in your matter. We have spoken to local, state and national groups in the areas of will contests, undue influence, beneficiary designation disputes, and other elder law matters. 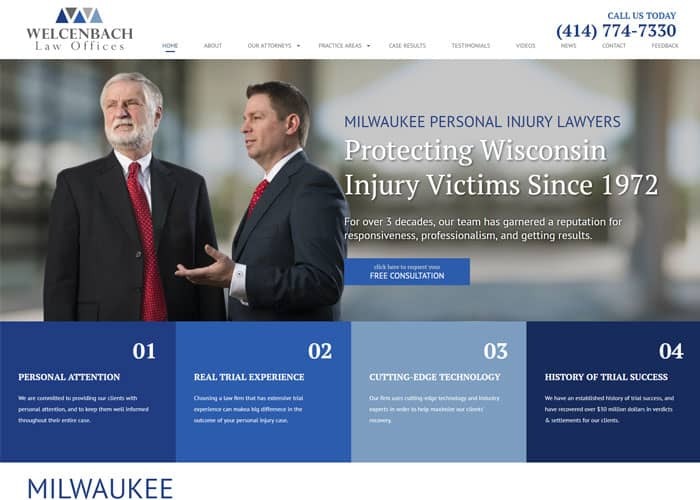 At Welcenbach Law Offices, we offer specialized expertise in a variety or probate related disputes, combined with a team of attorneys experienced in civil litigation for personal injury disputes, workplace disputes, and will and trust negotiations. Whether you need help interpreting a will, replacing a vulnerable person’s conservator, facing a probate court battle, resolving property disputes, or managing the assets of a trust, we’re Milwaukee’s leading choice for estate, will, and probate legal assistance. No matter how simple or complex your probate or estate litigation case, we can help assist you. Contact us for more information by email or call (414) 774-7330 with any questions.